As we look back at 2013 and forward into 2014, one hopes we will begin to see more coverage in the U.S. media of the most significant under-reported story of our time. 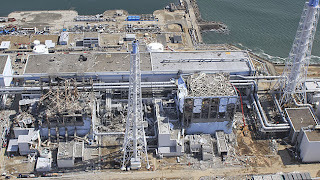 It's the on-going disaster in Japan, at the Fukushima Daiichi nuclear facility. There are several things being reported elsewhere, but seldom in this country. 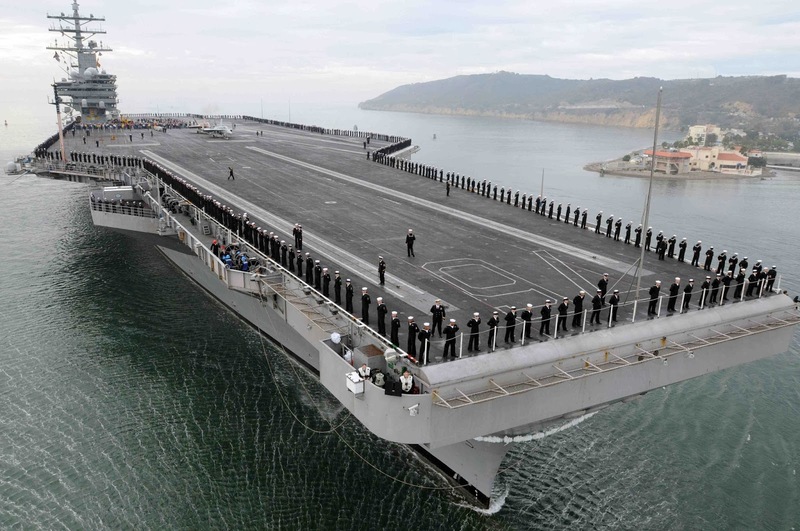 For instance, the nuclear powered aircraft carrier U.S.S. Ronald Reagan responded to the tsunami and crisis in the Japanese countryside with a humanitarian mission off the coast of Fukushima Prefecture. In doing so, the carrier, with a crew of about 5,000, was exposed to the radiation coming from the three reactors that had melted down. Because the plant operator and the Japanese government minimized the radioactive releases, crew from the Reagan were in radioactive water rescuing survivors floating on debris, were bathing in and drinking desalinated ocean water that was contaminated, and washing down the deck and planes in a radioactive plume of air. They were stationed for about a month 10 miles off the coast before being informed of the seriousness of the risks. In December of 2012, a law suit was filed by several of the Reagan's crew against TEPCO, the private operator of the nuclear facility. The suit alleges that TEPCO's lies led the Navy to sail into intensely dangerous waters and put the crew at risk. As of early this month, there are some seventy crew members who have joined the lawsuit, and as the health problems grow for Reagan crew members, the numbers in the suit will grow as well. Some anticipate as many as 1,400 eventual plaintiffs, not just from the Reagan, but from the 70,000 service members sent into harms way. Many of the crew members in the lawsuit are in their 20's and have been diagnosed with leukemia, testicular cancer, gall bladder cancer and thyroid cancers. Others are experiencing rectal bleeding, hair loss, fatigue, gastrointestinal troubles, unremitting headaches and strange menstrual cycles. One is reminded of those soldiers that were sent into the area of the first U.S. atomic bomb tests. They were told there was no danger, entering the zone shortly after the blast. It wasn't till years later that I visited one of those soldiers in the hospital, where he was losing a leg in his latest struggle, of many, with the results of that long ago exposure. It happens so often we have almost come to expect it; sacrifices made by members of the military on behalf of political or economic expediency. Another challenge not being reported is the growing threat to the Pacific Ocean. This is a huge body of water. But when you pour 300-400 tons of radioactive water into the ocean every day and threaten to stop storing contaminated water on site, as it leaks, and you can't build storage tanks fast enough to hold it, over time it creates problems for the ocean ecosystem. Scientists are studying the demise of starfish off the West coast of the U.S. They seem to be melting on the bottom of the ocean, with an estimated 60% of them in some areas affected. Some are pointing the finger at Fukushima. Canadian officials have found amazingly high levels of radioactivity in sea bass. Scientists in California have found cesium 137 in 15 out of 15 bluefin tuna tested. Canadians have also discovered cesium 137 in 100% of the carp, seaweed, shark and monkfish sold to the Canadian public. And for more than a year those in Alaska who depend on seal, walrus and polar bears have been noticing severe sicknesses and die offs, consistent with radiation poisoning. 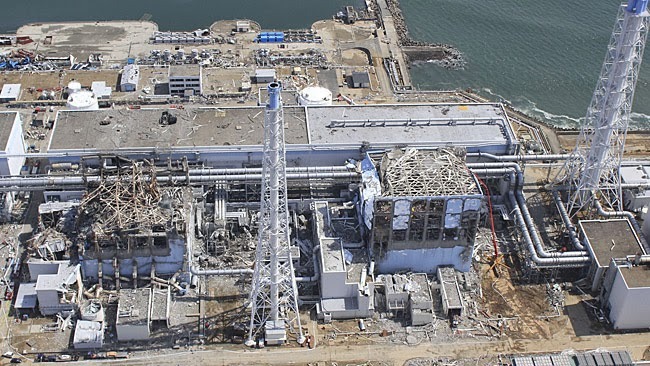 If that weren't enough, TEPCO, a private for profit company, accused of hiring untrained and sometimes homeless workers willing to risk their lives in challenging circumstances, (with some suggestions organized crime has gotten involved), are moving 1,500 fuel assemblies from unit 4 to safer storage facilities for at least the next year. Carefully, of course! Should they lose a damaged one in the process, or God forbid, should there be another earthquake before they finish, some are saying the West Coast of the U.S. should be evacuated and Japan would be history. If that possibility isn't worth a story or two in the mainstream media and an international takeover of the removal process, I can't imagine what is. So when you make your plans for 2014, include some prayers and political action for the health and safety of the planet and the people and all life affected.